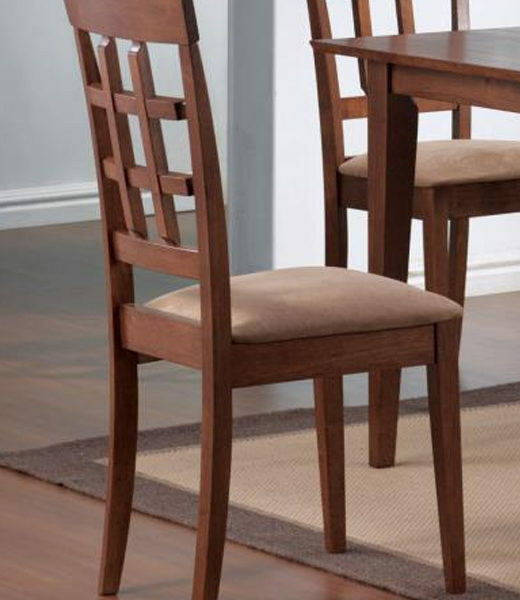 This dining side chair will be a great addition to your casual contemporary dining ensemble. 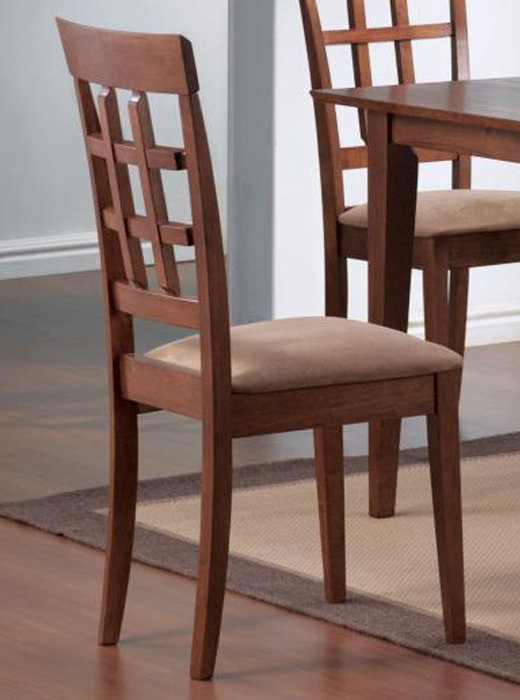 This dining side chair will be a great addition to your casual contemporary dining ensemble. The chair has a high back with an open grid pattern and square tapered legs. A padded beige seat covered in soft deep beige colored microfiber for comfort and durability.